We'll see you in 2015 with our 78th season! 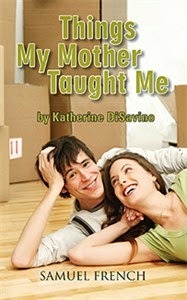 "Things My Mother Taught Me" directed by Erin Gibbs. February 13, 14, 15, 19, 20, 21. "End Game" directed by Michelle Fox. April 9, 10, 11, 12. "Avenue Q" directed by Juston Harlin. June 4, 5, 6, 7, 11, 12, 13, 14. Youth Performing Arts Workshop - "Shrek: The Musical, Jr." directed by Sandy Goad & Ronnie Gray. July 16, 17, 18, 19. "Waiting for the Parade" directed by Karen Widman. September 10, 11, 12, 18, 19, 20. Haunted House directed by Juston Harlin. October 22, 23, 24, 29, 30, 31. "Everyone's Christmas Story" directed by Carey Lindner. December 10, 11, 12, 13. 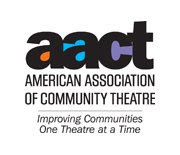 The Community Players of Hobbs is proud to announce it's 2015 season! Congratulations to all our 2015 directors...break a leg! 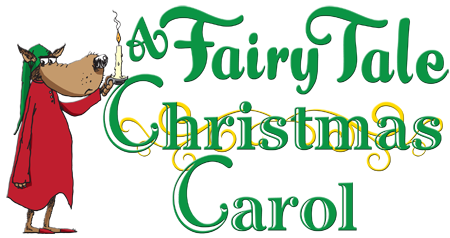 Tickets are now on sale for "A Fairy Tale Christmas Carol"
Tickets are now on sale for our 2014 Christmas Production, "A Fairy Tale Christmas Carol"! Everyone’s favorite classic holiday tale gets the fractured fairy-tale treatment. All the famous fairy-tale characters take on all of the memorable roles of Dickens’s A Christmas Carol. You’ll never know who will show up next as the Big Bad Wolf (as Ebenezer Scrooge) meets his old business partner Jacob Midas (Marley), who could turn anything to gold. Midas warns Big Bad that he’ll be visited by The Ghosts of Christmas Past, Present, and Future (played by a Fairy Godmother, Old King Cole, and the Queen of Hearts respectively). The ghosts make Scrooge realize what a scoundrel he’s been to the Charming (or Crachit) family — including Prince Philip, Cinderella and their kids, Hansel, Gretel and Tabitha, their Little Match Girl — and help him to remember what the Christmas spirit is all about. This fun-filled adaptation stays true to the warmth and heart of the classic. Show dates are December 11th-13th (8 PM) and December 14th (2 PM). All seats are $10, and can be purchased online (click here) or at the door.